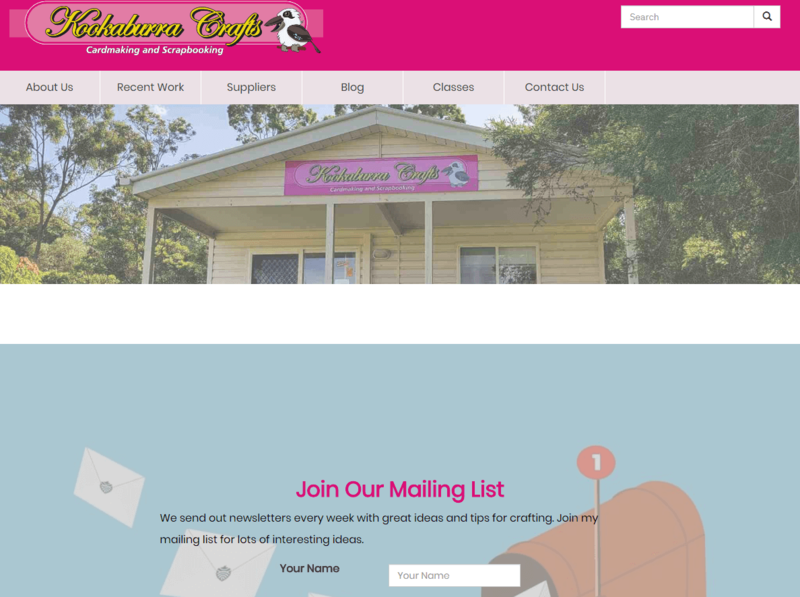 Kookaburra Crafts is a local business in Caboolture, Queensland and they produce quality cards and scrapbooking products. Jacqui has been operating for many years and decided that she wanted to revitalise her brand. So she commissioned Brian at Signs Qld to create new signage for her. 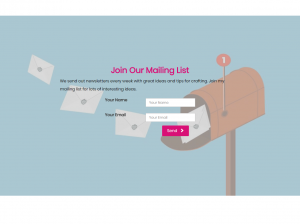 During that conversation, Jacqui mentioned that she wanted to do the same with her website. So Brian referred her to me. We began the process with a discussion in her shop. She has so many cards and card-making equipment. It's a beautiful shop to walk into. We discussed her existing website and the things she did not like about it. 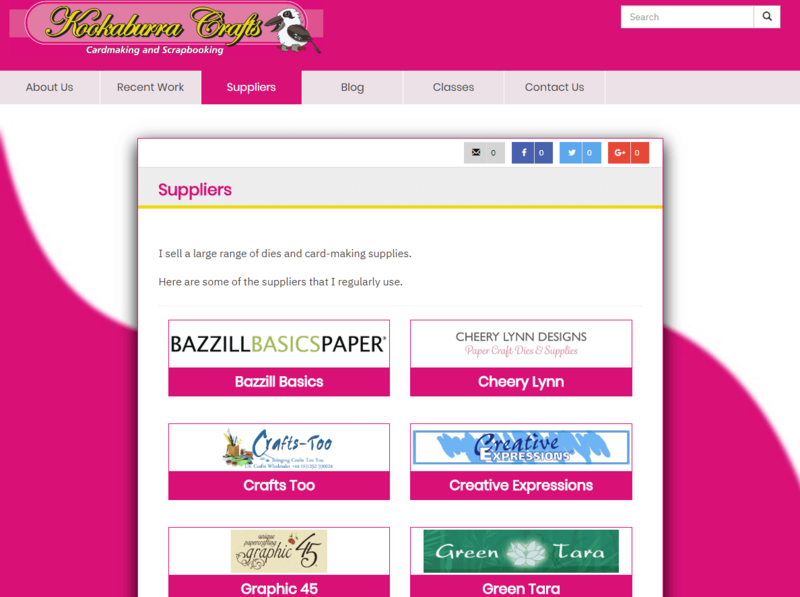 Then we discussed how she operates her business and what she would like the new website to do. We discussed the options and then got started. 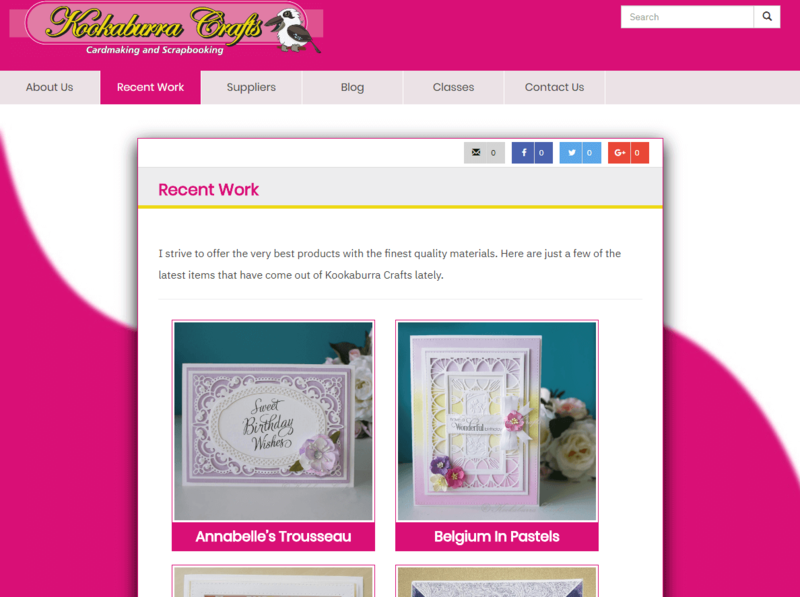 The site is based on WordPress which allows Jacqui to maintain her own content. Jacqui identified this as a huge issue with her previous site which meant it had become stale. This also affected her Google ranking too, because the content was not changing. 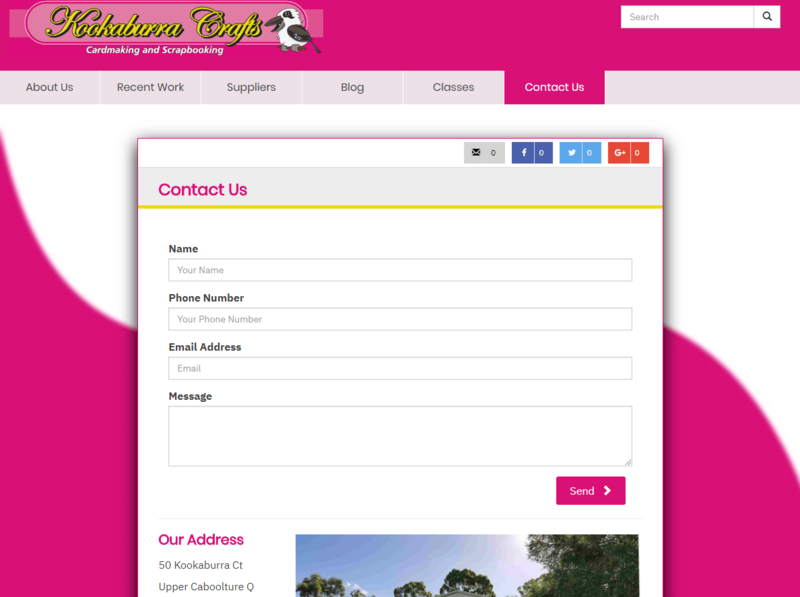 The WordPress site is using the Woolston Web Design base theme structure with custom CSS and images. There is a call to action on the home screen because Jacqui maintains a mailing list where she promotes her specials and upcoming events. Jacqui is a regular blogger and has been using Blogger because her previous site had no facility for this. Now Jacqui can post news and product information on the website and it will be available for her customers to see and also post to Facebook. We also linked the site to Cloudflare (read my article about why CDNs are useful) to give us free SSL and content delivery network benefits. The website is hosted by Crazy Domains, so we had to make DNS changes in order for the Cloudflare configuration to work. 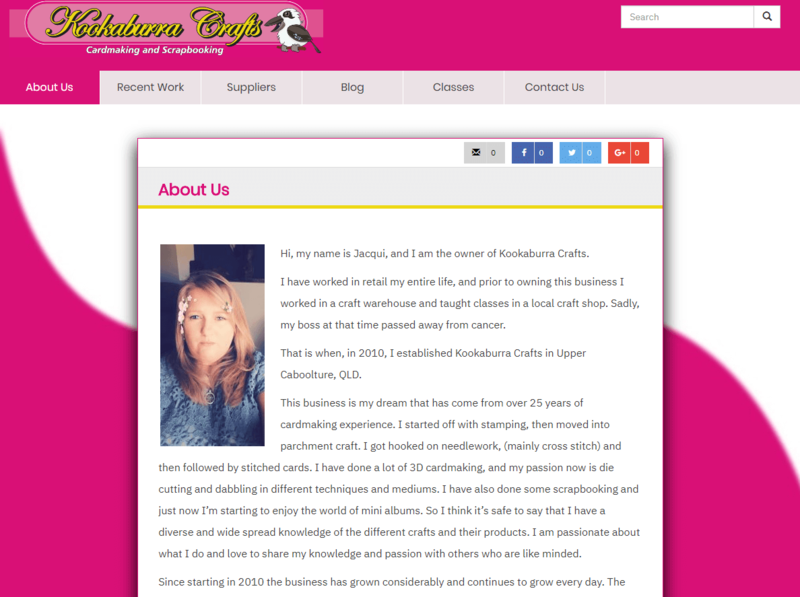 Jacqui has plans to sell her products online in the future, so hopefully the relationship between Woolston Web Design and Kookaburra Crafts will be a long and successful one. Here are some screenshots of the finished site.